Parasail Around the ‘Kingdom’ – The sky is the limit when guests take a parasailing adventure high above Bay Lake. Single and tandem fliers can have a bird’s-eye view of Magic Kingdom at altitudes nearing 600 feet for 8 to 10 minutes. Instead of the traditional water approach, the uniquely designed boat enables a “dry” take-off and landing from the back of the boat. The cost for a single sailor is $95 – $130, tandem is $170- $195. For “flight” times guests may call 407/939-0754. 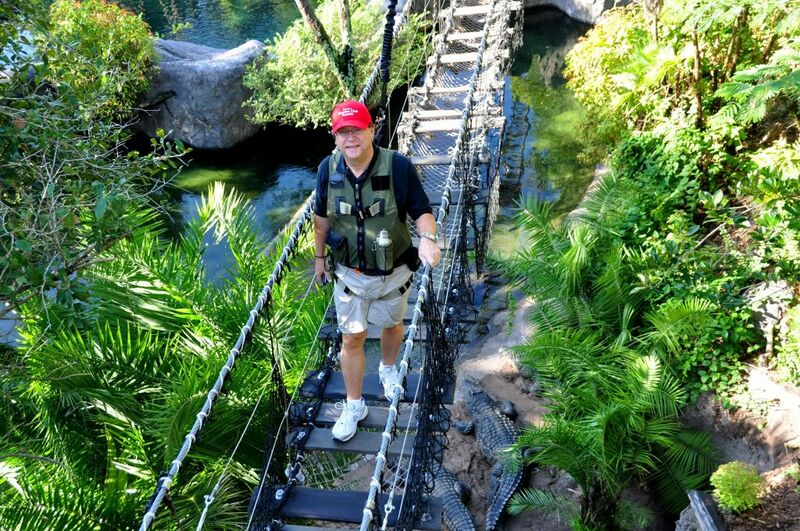 Embark on a Wild Africa Trek – Guests wanting to venture off the beaten path at Disney’s Animal Kingdom have the chance during this immersive, add-on experience. Wild Africa Trek takes a small group of adventurers on personalized, guided excursions that include a bushwalk through unexplored areas of the forest along with over-landing in customized vehicles across an animal-filled savanna. On these expert-led treks, extended time is spent observing and learning about the wildlife. Reservations for Wild Africa Trek (ages 8 and up) can be arranged by calling 407/939-8687. 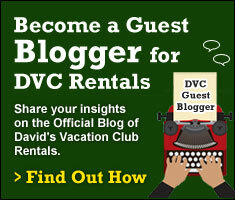 The experience starts at $189 per person. More information: Disneyworld.com/disneyafricatrek. Check out Cathy’s review of the Wild Africa Trek. A Fisherman’s Dream Come True – Even sport fishermen’s dreams really do come true at Walt Disney World Resort, where trophy-sized largemouth bass in the 14-pound range sometimes lurk in lakes and canals almost within casting distance of Cinderella Castle. But this fish story gets even better: “Wannabe” sports fishermen’s dreams also come true. On BASS fishing excursions led by expert guides, guests with lots of experience — or with little or no fishing experience — can enjoy the exhilarating thrill of a feisty largemouth “striking.” The two-hour catch-and-release excursions are for a party of up to five people and are on a boat stocked for the excursion with Bassmaster rods and reels and other fishing gear, cold drinks, and a camera to prove you’re not telling “fish stories.” All guests receive a one-year membership to BASS, the Bass Anglers Sportsman Society, and other benefits. The 2-hour excursion is $235-$270 and the 4-hour excursion is $455, both can accommodate up to 5 guests. 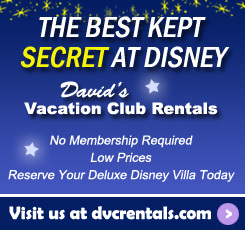 Additional information and reservations are available by calling 407/WDW-PLAY (939-7529). Find treasure at The Pirates League at Magic Kingdom – This buccaneer experience in Adventureland features makeovers that turn guests ages 3 and up into savvy swashbucklers. Guests who want to join Captain Jack’s motley crew will receive a pirate identity, be transformed into a pirate by a sea-sailing Pirate Master and gain access to a secret treasure room. You will receive a sword and sheath, earring and eye patch, temporary tattoo, exclusive pirate coin necklace and a personalized pirate oath. Packages are $29.95 plus tax (407/WDW-CREW). Pictures and costumes are also available for an additional charge. Everybody’s Gone Surfin’ at Disney’s Typhoon Lagoon – Adventurous guests can catch a wave and feel like they’re sitting on top of the world at Disney’s Typhoon Lagoon water park. Its 2.75-million-gallon wave pool provides consistent waves every 90 seconds that can range from three to six feet high — and no sharks! Cocoa Beach Surf School invites guests to learn from professional surfers how to cut, carve and “hang 10”. The program is available by reservation for $150 on selected mornings prior to regular park hours. 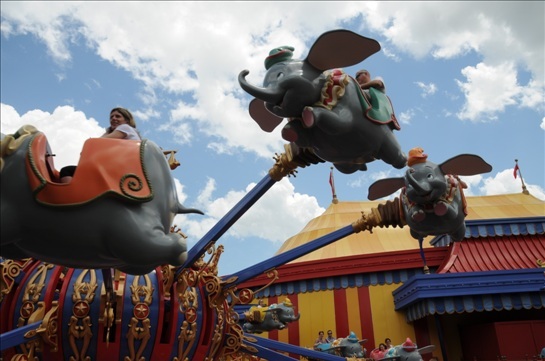 Guests may call 407/WDW-PLAY (939-7529) for more information. Take a spin on a Segway Personal Transporter – The Segway PT, originally the “Human Transporter” first displayed to the public at Epcot Innoventions in 2002, is the world’s first self-balancing personal transporter that uses advanced technology, gyroscopes and tilt sensors to emulate human balance. Guests can put these high-tech machines to the test at Disney’s Fort Wilderness Resort and Campground. 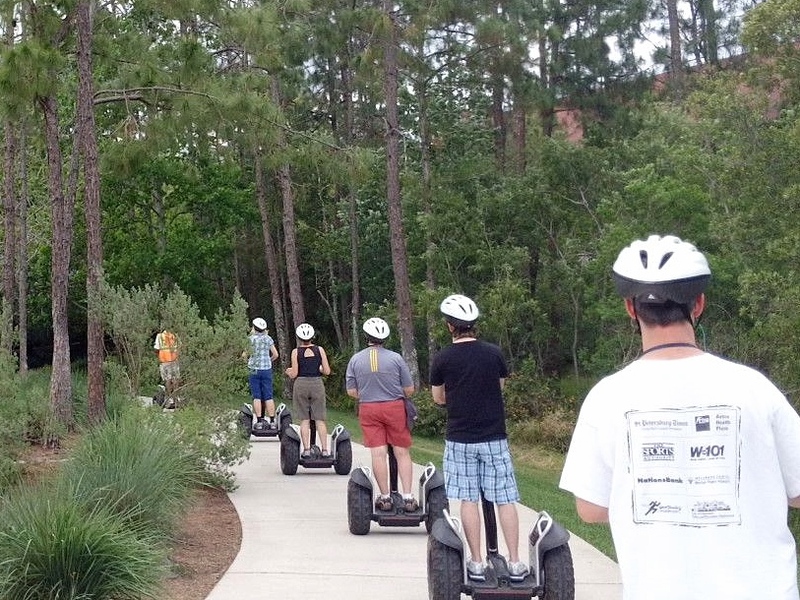 The Wilderness Back Trail Adventure at Disney’s Fort Wilderness Resort is a two-hour beginner’s tour that allows guests to experience the outdoors first-hand on a Segway X2 Personal Transporter. The program also includes a product overview and training ($95.85/person including tax; tours are daily, 8:30 a.m. and 11:30 a.m.). Catch my recap of the Wilderness Back Trail Adventure tour. Learn to hula dance – at Disney’s Polynesian Resort, where complimentary classes take place most days in the resort’s lobby. Auntie Kaui, a hula dancer and instructor with 50 years experience, leads most of the classes offered Monday through Saturday at 3:45 p.m., and Saturday mornings from 10 a.m. until noon. Weekday classes are geared toward the younger set, with leis and grass skirts aplenty, while the Saturday morning lessons encourage guests of all ages to do the hula shake. Whether guests stay for five minutes or the full two-hour Saturday classes, they’ll learn a variety of chants and dances from such tropical locales as Hawaii, Tahiti and more. The Archery Experience at Disney’s Fort Wilderness Resort and Campground – Whether novice or expert marksman, an archery guide offers training and tips on how to hit the bulls-eye. Open to resort guests (ages 6 and up) and non-guests alike, the 90-minute experience costs $26.63 per person including tax, and includes equipment and instruction and can be booked up to 180 days in advance by calling 407/939-7529. Offered Thursday, Friday and Saturday afternoon. 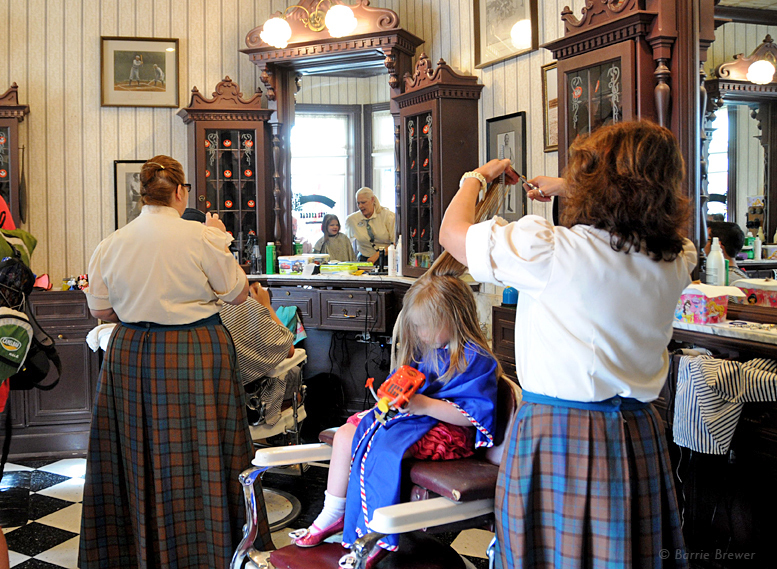 Harmony Barber Shop, a cut above the rest – Sit back in the barber’s chair and experience a good old-fashioned haircut at Harmony Barber Shop on Main Street, U.S.A. in Magic Kingdom. Located near the Emporium and with a signature candy-striped pole outside, the shop transports guests to a simpler time when barbershop quartets entertained and getting a haircut was a real treat. Haircuts are $15 for children age 12 and under; $19 for adults; first-come, first-serve. ”First Haircuts,” the establishment’s specialty, treats young’uns to pixie dust, bubbles, Mickey Mouse stickers and an extra-special “My 1st Haircut” set of Mouse Ears; price is $18. Take a High-Speed Chase Around Walt Disney World Speedway – Race fans and adventure seekers can enjoy the ultimate thrill of riding in or driving a racecar around the one-mile tri-oval speedway. The Richard Petty Driving Experience takes motorsports fans out of the grandstands and behind the wheel of a stock car, offering several ride and drive programs to race enthusiasts, thrill seekers and corporate groups. Three driving experiences and a ride-along program are offered at the Walt Disney World Speedway location:Rookie Experience: A 3-hour program that includes eight laps of driving thrills. Cost is $478.19. King’s Experience: Features 16 laps of driving divided into two 8-lap sessions. Cost is $904.19. Experience of a Lifetime: Participants work on establishing a comfortable driving line and building speed in a series of three 10-lap sessions. Cost is $1,383.44. Ride-Along Program: A 3-lap thrill ride as a passenger at a top speed of 145 mph. Cost is $105.44. You’ll Feel at Home on the Range! 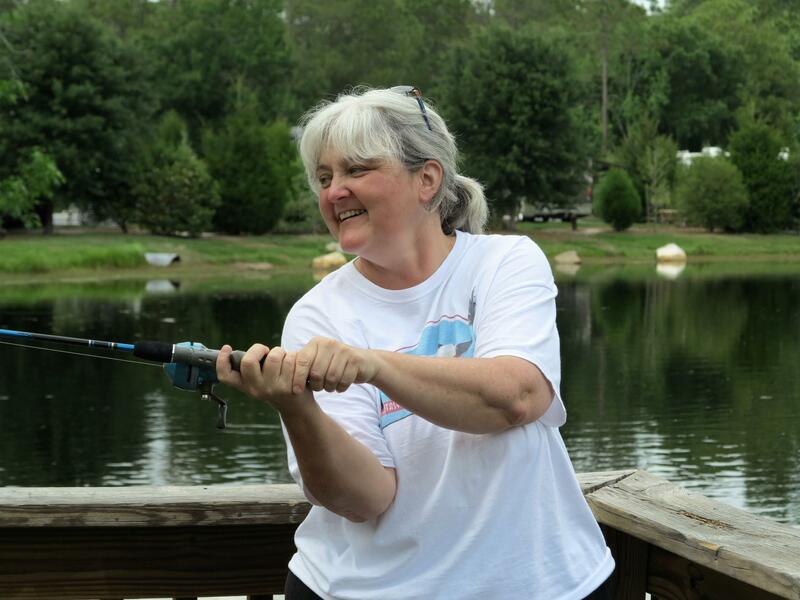 – Disney’s Fort Wilderness Resort and Campground invites adventuring “trail” seekers to discover the beauty of Bay Lake Beach, relax on horse-drawn carriage rides, tell tales and catch all at fishing spots, explore running and biking trails, and much more. Take the reins for a 45-minute Horseback Trail Ride ($46) through the natural wonders of the resort and you’ll feel right at home on the range! Am I fishing here or trying to play baseball? It’s hard to tell! 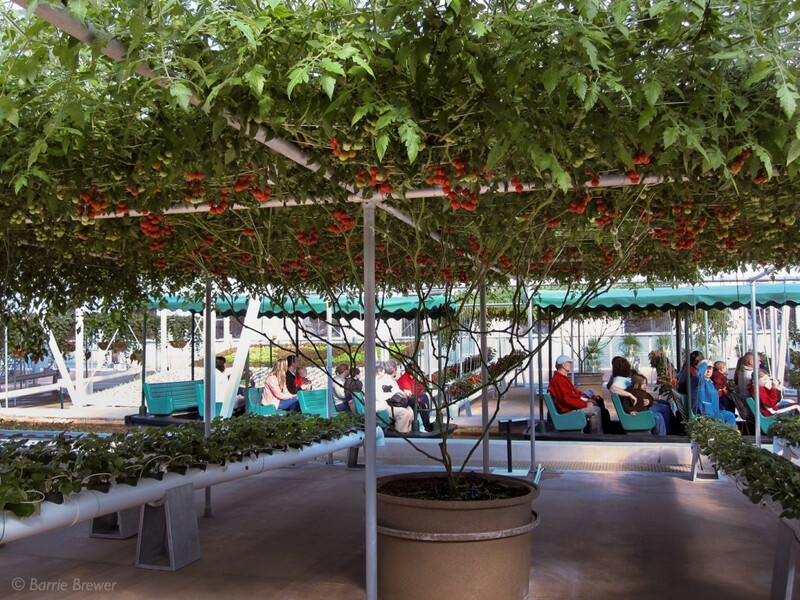 ‘Tomato Tree’ sets record with 32,000 tomatoes – The Tomato Tree at The Land pavilion at Epcot has blossomed into a record-setting plant. The tree was recognized as an official Guinness World Record Holder, with a one-year harvest of more than 32,000 tomatoes and a total weight of 1,151 pounds. Guests can spot the tree during the pavilion’s Living with the Land boat ride. For a more immersive experience, take the hour-long “Behind the Seeds” tour of the greenhouse area with a Disney intern. Call 407/WDW-TOUR for information. Walk-up tours are available at the kiosk near Soarin’ in the Land pavilion. Really, that was just a tiny sample of unusual things to try when you visit Walt Disney World. There are hundreds more. When friends who have never been to Walt Disney World ask why I keep going back, I tell them, “It’s because there’s always something new to do there – and I want to do it all“. I’d love to hear what some of your favorite undiscovered adventures are.